We need your help to keep the show going! Check out LoveWLS.com to find out how you can help! 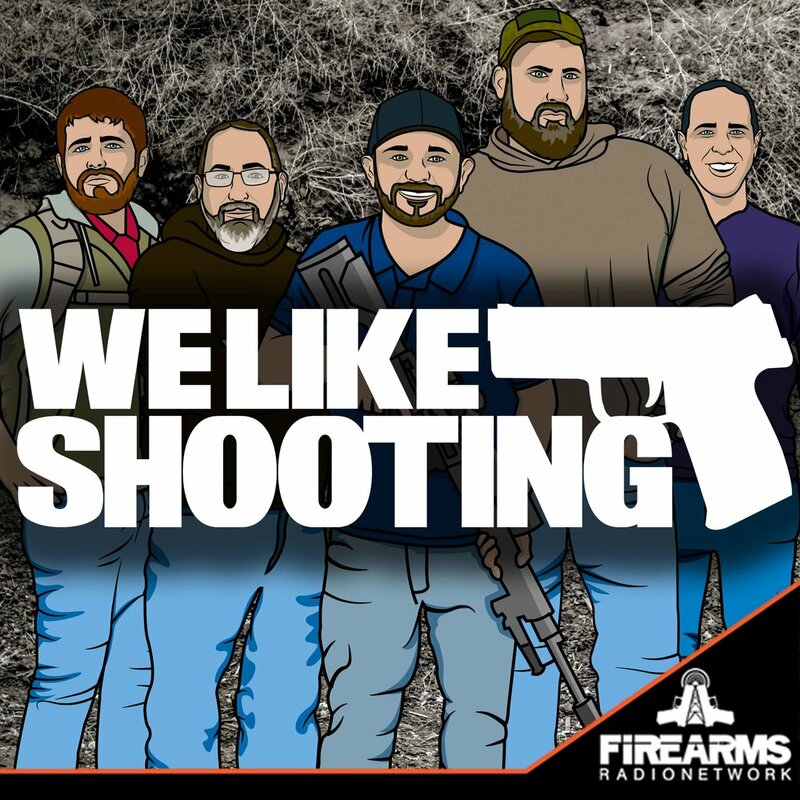 This episode of We Like Shooting - Double Tap is brought to you by Black Rhino Concealment, Custom, Rand CLP and Rubber Dummies. Check out our Shootout challenge! Targets, rules and swag available here! Welcome to We Like Shooting’s Double Tap, Episode 65, Where we answer your questions, talk about new tech in the gun world, and touch base on gun industry news. veteran owned and operated company specializing in thermoforming Kydex firearm holsters. We have over 80 of the most popular open and concealed carry holsters in stock. If you could only pick a one bolt action rifle, one semi auto rifle, one semi auto pistol, one revolver, one pump shotgun and one semi auto shotgun what would they be? Here is the twist though it can’t be a style of gun or a manufacture you already own. *Jeremy can't choose any 1911, Chiappa, AR, Lever gun, Springfield etc. What is the difference between a muzzle brake and a compensator? What makes a linear compensator "linear"? What is happening functionally that begs the distinction? What's up with the new Russian MTs-116M rifle? Is it the way or the future or doomed for the junk heap of firearms history? No fucks given about the opinion of Savage, I'm sure he will blow the guy who designed it. I’m considering a side charging upper for my Sharps Warthog build. Do you have any suggestions for brand? Are there pros and cons to this build idea? If you were a reptile what would you be? If you were a bird what bird would you be? THIS WEEKS TOPIC: : What do you think the other panelist would say their least favorite holiday is? We’re here live every week on Monday and Weds. and on demand every damn day. Go to welikeshooting.com/show to subscribe!